Deep red. 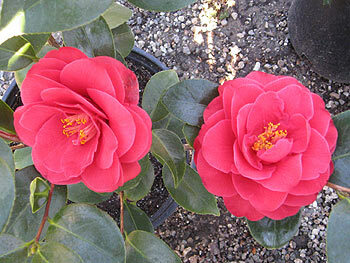 Large, formal to rose form double. M-L.